CCleaner is one of the world’s most popular software for removing junk files on personal computers and Android phones. 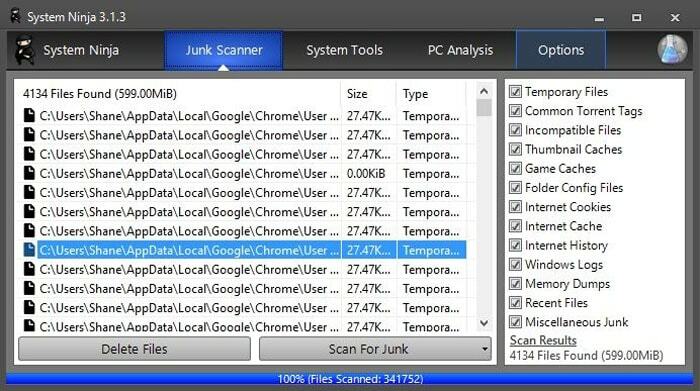 This free software tool optimizes device performance by purging unwanted files. It also protects the user’s privacy by deleting private data (for eg, browser cookies etc.,). Recently, Piriform (acquired by Avast), the company that develops this tool announced in a blog post that it had suffered a serious malware attack. The attack resulted in the infection of an estimated 2.27 million users’ devices. This has left users seeking for other alternatives to CCleaner. Before we dive into some of the best CCleaner alternatives available to us, let us understand what CCleaner is, should it be used at all, and how serious the malware attack was. 2. Should you be using CCleaner? 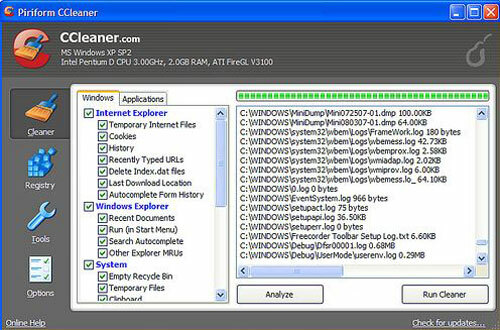 CCleaner is a utility program which helps in getting rid of potentially unwanted files and invalid Windows registry entries from a computer. The first use case this definition brings to mind is freeing up memory from the hard disk. This is hardly a concern nowadays, given that hard disks come cheaper with greater storage capabilities. As such, CCleaner can assist in getting rid of cache files and browser cookies which store private data. Since anyone with access to these files gains immense information about the user, deleting these files is the easiest way to prevent this. Also, CCleaner cleans up files that have been created by background processes (like cookies and cache) which users do not manually delete. CCleaner also provides a startup manager, an uninstaller, and a System restore interface. Since these tools are already built into Windows, most users don’t exploit these functionalities anyway. Should you be using CCleaner? Most of the functionalities CCleaner offers is already built into the Windows operating system, and as such do not require an additional software to accomplish. 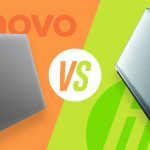 And since every computer comes with much bigger hard disks than they did before anyway, the disk cleanup feature might not prove much useful too. Unless your hard disk is running full, using CCleaner might not provide a huge boost in performance. 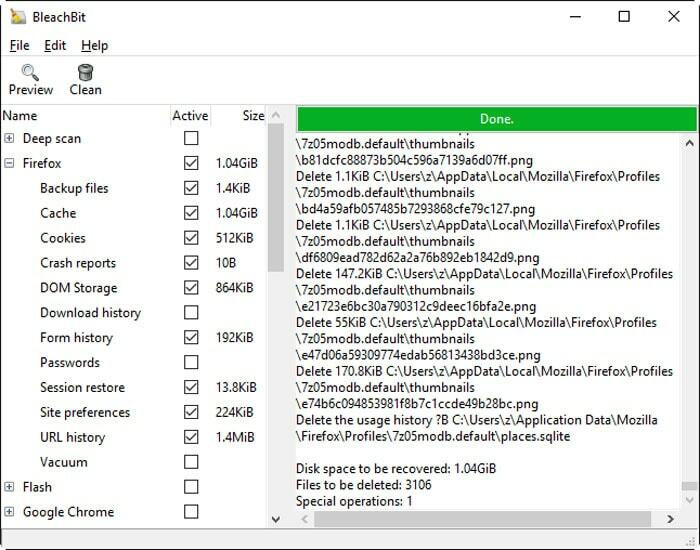 The software does delete temporary files, but deleting some of these files (like the web browser’s cookies and cache files) might actually slow down the computer. Coming to the registry cleaner, this feature is best left unused unless bad registry entries have left your system damaged and programs refuse to launch or install. The windows registry is a database containing settings for virtually everything on your PC, so messing up the registry might have serious consequences. Unless you are an advanced user, using the registry cleaner is not advisable. Using CCleaner is not necessarily a bad idea, but most of its functionalities are redundant, given they are already built into the Windows operating system. If you are unsure of some of the options, especially the ones pertaining to the registry settings, it’s best left untouched. On September 12th, 2017, Piriform revealed in a blog post that CCleaner version 5.33.6162 and CCleaner Cloud version 1.07.3191 had been compromised. These versions of the software had been modified illegally before it was released to the public. The malware in question was collecting data such as the computer name, IP address, list of installed software, list of active software and list of network adapters from infected machines and transmitting this information to an unknown third party server in USA. Piriform worked with law enforcement officials to shut down the server and claimed that over 2.27 million users were affected. Of these 2.27 million users, 40 received a second-stage payload. Most of which seems to have been targeting technology giants like Samsung, Intel, and VMware. Piriform urged all CCleaner users to update to the new version, while themselves automatically updating all users of CCleaner Cloud. It appears that users with 32 bit Windows machines were specifically affected. None of the Android devices running the software were compromised. The company is moving the product build to a more secure and robust infrastructure to prevent any such future security incidents. CCleaner does its job pretty well, but there are some other great products which do the same jobs pretty well. Some provide an easy to understand interface, while some are open source with dedicated communities backing up the development process. Either way, these products deserve a tryout. 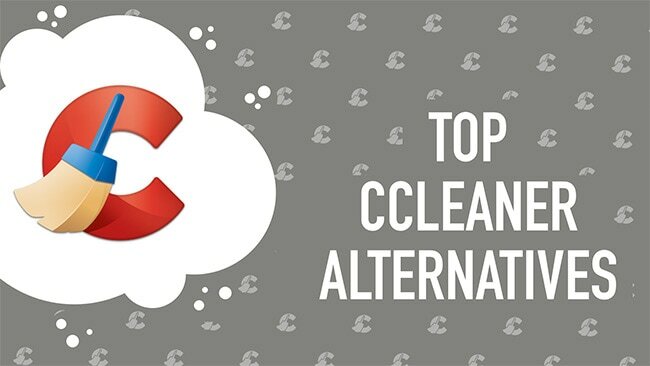 Here are CCleaner alternatives that you can go for. 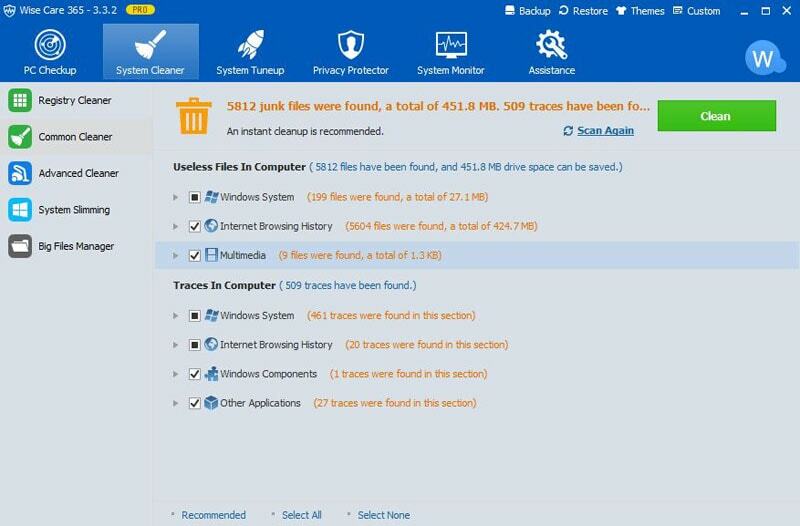 Privazer is a free PC cleaner and privacy tool from Goversoft. This tool has a special emphasis on privacy, clearly reflected by the name of the software. Privazer provides secure, irreversible cleanups by overriding the files several times. Even expert recovery software like Recuva, GetDataBack, and Testdisk are unable to retrieve the deleted files. Privazer also lets you visualize its findings in easy-to-follow visualizations. It has two modes, advanced and basic, and both modes provide an interface similar to the wizard. Answering all the questions lets you configure the software according to your preferences. Once done, Privazer will clean up your disk in no time. This helps provide a huge amount of control over the cleanup process. BleachBit is a free, open source, light weighted and an extremely simple alternative to CCleaner. This software helps you get rid of unwanted files to obtain more disk space, and purges cache files, to protect your privacy. Since the software is open source, BleachBit enjoys swift development and faster bug related fixes via community contributions. There is an intensive DeepScan available to explore deeper into your file system, and the file shredder deleted unwanted files in such a way that leaves no possibility of recovery. BleachBit is available for the Linux and Windows operating systems. The similar name is hard to ignore, but KCleaner is one of the most efficient disk cleaners on this list. KCleaner sometimes discovers up to gigabytes of data which can be cleaned to free up disk space. It provides a fully automatic mode, causing the software to run in the background. This releases the user from any need to manually launch it. Its secure file deletion option makes deleted files absolutely unrecoverable. It also features an expert mode, where you as a user can control the file deletion procedures. The software comes in a free and premium version, and the premium version ships with automatic self-upgrade. KCleaner supports internationalization and supports 26 different languages. Glary Utilities is one of the most popular options on this list, with about 40 million users. The software is available for both Windows and Android. It offers about 20+ tools targeted at maximizing the performance of your PC. The software offers a disk cleanup tool and temporary files cleaner like CCleaner does. 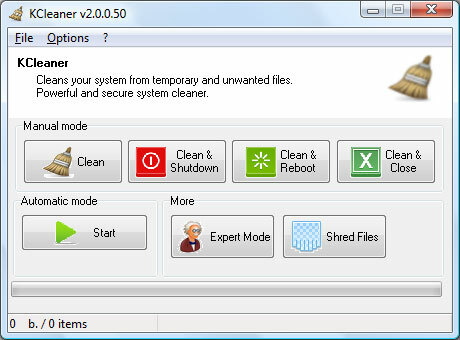 In addition to these tools, Glary Utilities also offers a file encrypter, file shredder and memory optimization tool which is also quite similar to the ones CCleaner provides. This all in one utility comes with a free and a premium version. The software comes bundled with a malware removal tool. If you do not wish to use it, you can avoid it by just deselecting the option. Clean Master, the popular Android optimization tool, also has a dedicated software targeted towards PCs. The PC version focuses on 4 primary functionalities – junk clean, PC boost, privacy clean and driver booster. Its recent updates give the software a brand new interface along with features like one-click boost, intelligent auto clean, and a file shredder. Clean Master has a free and a premium version. The free version provides the basic functionalities of junk clean, privacy clean and PC boost. The premium version includes features like automatic cleanups for junk and privacy traces in browser and a file recovery tool. 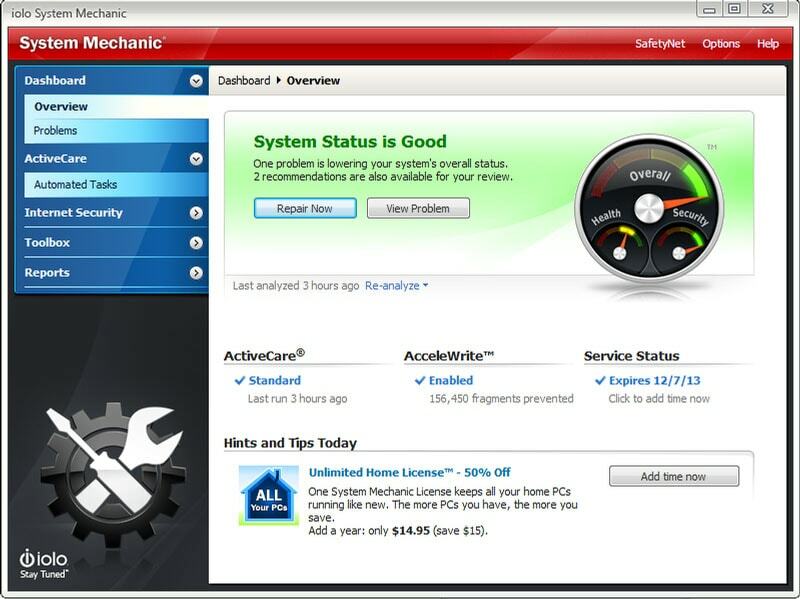 System Mechanic from Iolo technologies is a paid software that fixes and speeds up your PC automatically. The software uses patented technology and comes in two versions – a normal version and a professional one. Apart from the features every PC cleaner provides, System Mechanic increases your internet browsing speeds by optimizing hidden settings favored for faster browsing and removes bloatware. The pro version has additional functionalities like recovering data and blocking malware. System Mechanic Pro also has a certified virus and data protection shield to safeguard you from any malicious activities online. 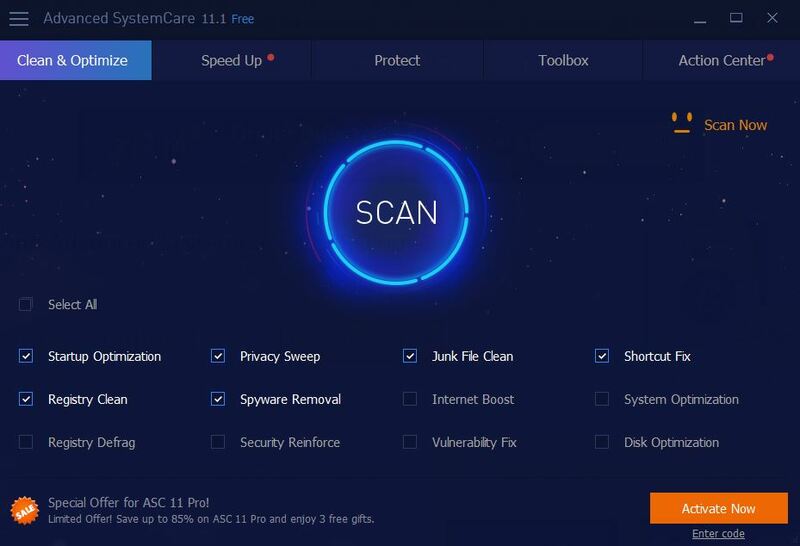 Advanced SystemCare from IObit cleans and speeds up your PC, it is one of the best CCleaner alternatives. Apart from providing a faster PC and online surfing experiences, Advanced SystemCare provides real-time monitoring and protection. This protects your whole system from malicious online activities. Since the real-time Protector runs in the background, you need not worry about launching it every time. Advanced SystemCare monitors your fan-speed, CPU, RAM and disk usage in real time, and provides a one-click solution for optimization. Another cool feature is that the software catches the Face ID of the intruder. The software has a free and a pro version available. Wise Care 365 is another PC cleaning and speed up toll, quite similar to CCleaner. The software has over 30 million downloads and comes in a free and a pro version. It protects your machine in real-time and has a comprehensive PC cleaner with customizable cleaning options for advanced users. Its powerful system and hardware monitoring tool allow you to visualize all system and user run processes along with crucial hardware components. Wise Care 65 has a Wise Assistance section, which is basically a community knowledge sharing platform. 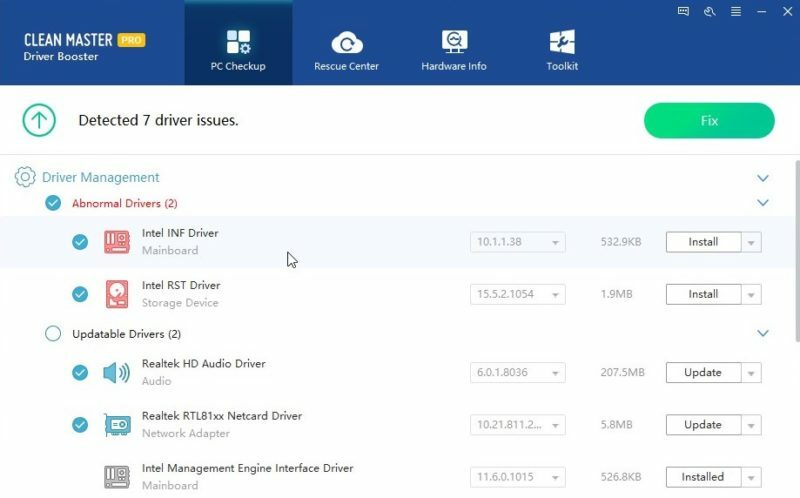 Experienced users can guide and answer questions for users with various PC problems. Wise disk cleaner is a completely free disk cleaner and defragmenter. 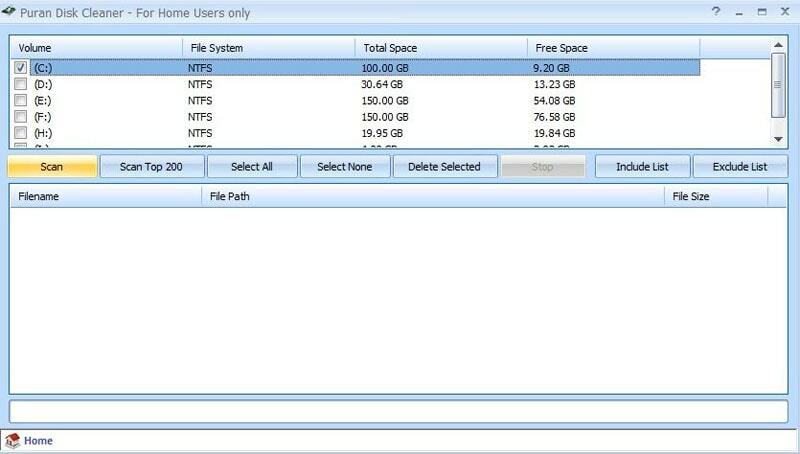 It’s easy to use and the highly customizable interface allows you to clean up useless files and makes your computer run faster. The software also features an internet history cleaner and a scheduled automatic disk cleaning. Wise disk cleaner has a Disk Defrag feature, which rearranges fragmented data on disks to make it work more efficiently. It also offers a graphical visualization of the selected drive, to let users know of the disk usage instantly. This extremely lightweight freeware has a low CPU usage and requires very few resources to run. 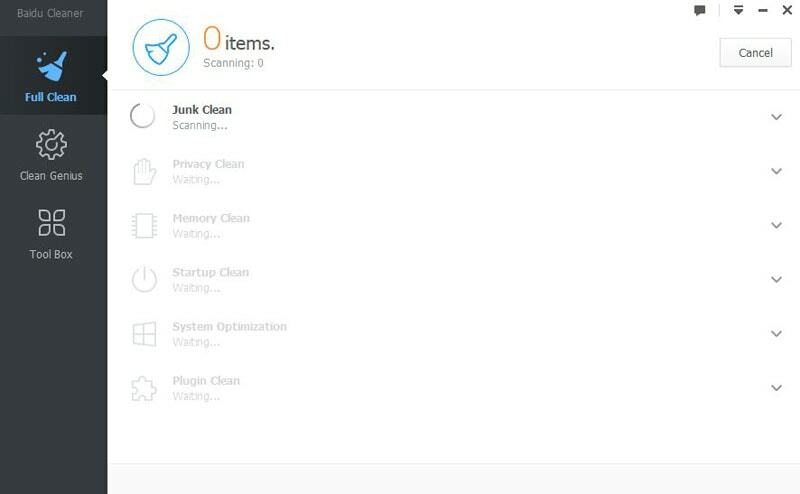 SlimCleaner is a system cleaning and maintenance tool which utilizes ratings form the developer community to help you decide which items to get rid of. The highly-detailed cleaner works with a wide range of applications. The cleaning process is extremely fast and effective. The program also has an optimizer, an uninstaller, and a file shredder to provide additional functionality. 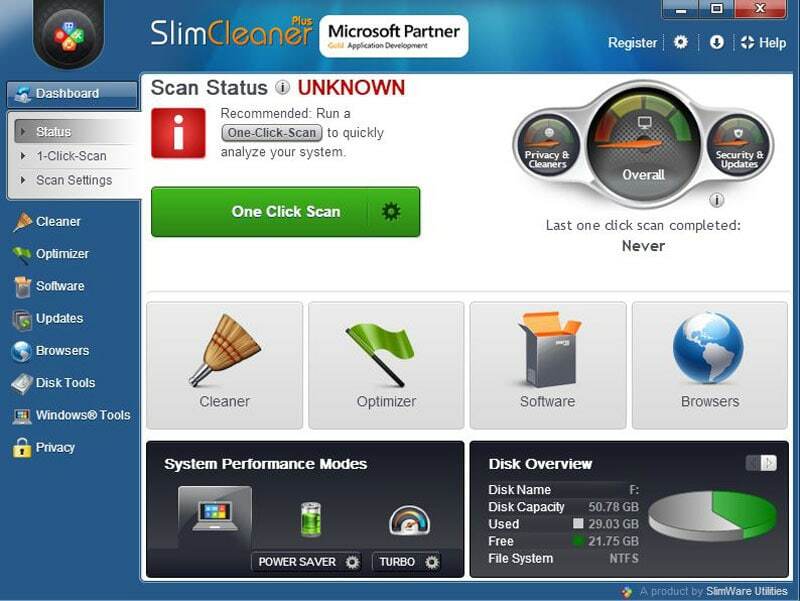 SlimCleaner has a vibrant, eye-catching user interface and presents all its options in an organized and attractive way. The software comes in two different versions: a free one, and a premium version with advanced functionalities. Comodo System Utilities is an all in one registry, disk, and privacy cleaner. Its unique selling point lies in the fact that it can be used by beginners, as well as advanced users. For beginners, the software launches quick in-depth cleanups which do not require prior knowledge to use. Advanced users can tailor settings to create highly customized cleaning profiles. Comodo system utilities feature SafeDelete, a patented feature which can restore files deleted by accidentally by previous cleanup sessions. Its registry protection feature restores valid registry entries. The software has a free and paid pro version. Ashampoo WinOptimizer is a clean-up and optimization tool, specifically targetted towards the Windows operating system. 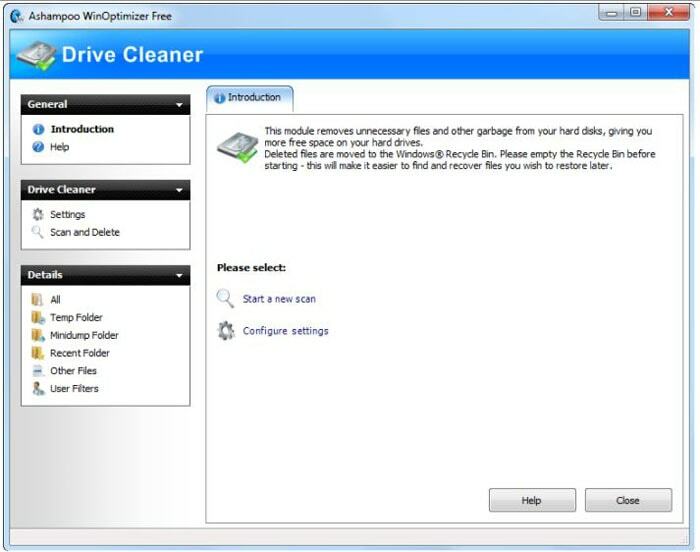 The software features tweaking options, a comprehensive registry optimizer and disk cleaner, an AntiSpy module and a predictive disk fragmenter. Ashampoo WinOptimizer comes with a Favourites tab, which stores the most used tools for quick access. The tweaker is designed to provide with professional results, even when the user has little or no knowledge of the software. The paid version of the software offers more advanced features which perform up to 50 times faster. Its clean user interface makes it easy to use for both beginner and advanced users. System Ninja is a simple yet powerful optimization software. It is not as feature-rich as its other counterparts. Instead, it focusses on a few functionalities and does them pretty well. The software runs a scan throughout the system and removes all junk files, cache, cookies etc., to improve the speed of your machine and fix problems if any. 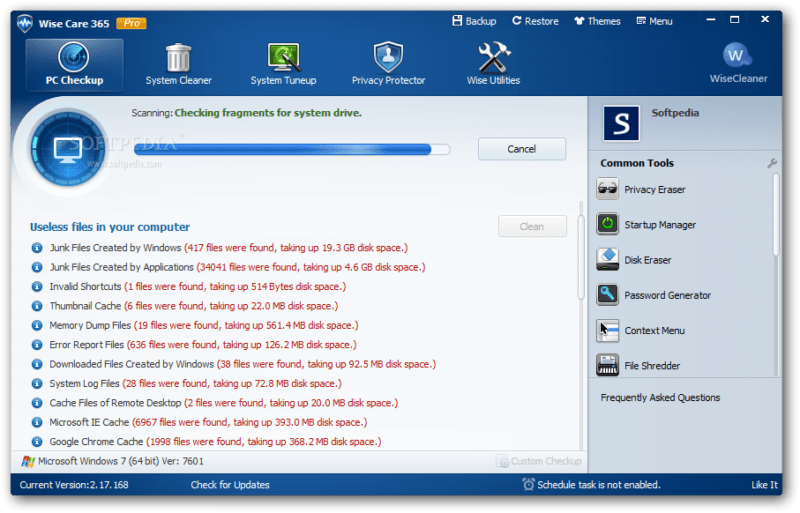 It features a startup manager, a process manager and an uninstaller apart from its primary system cleaner. System Ninja is extremely simple to use – you just run the application and click Scan Drive, and the application does the rest of the work for you. The software does not create a backup of files before deletion, so users much be careful to check which files are being deleted. Users of SingularLabs Pro Club get access to the pro version of the software, which includes automatic updates and a System notes app. This software is a collection of more than 20 individual utilities. These utilities are not restricted only to the ones that increase the performance of your machine. Some of the utilities included in this software are the duplicate file finder, a batch fixer, a maintenance fixer, a service manager, registry cleaner, registry defrag, gaming PC, shutdown timer and many more. Each of these utilities can be downloaded and used separately if you do not wish to use the entire package. Puran utilities is free for private and non-commercial use, a commercial license is required otherwise. The software is extremely light on the system, with no background processes or services. Puran Utilities has all the needed tips and helps to help even a novice use it. Baidu Cleaner is a free software and a CCleaner alternative which employs an ultra-clean cloud technology to provide cleaning solutions for over 5000 programs and targets more than 10000 cleaning points. Baidu’s cloud clean technology can wipe junk files up to 2.5GB. 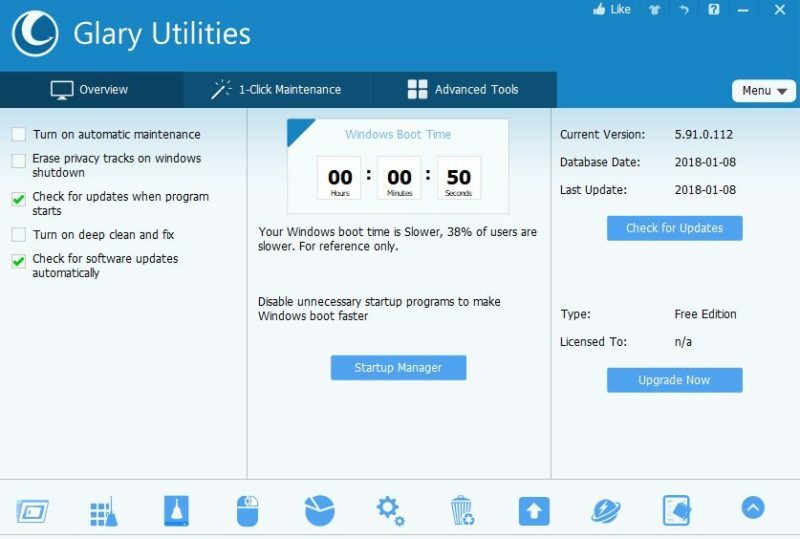 Apart from a software uninstaller, startup manager, and a system repair tool, Baidu cleaner provides powerful PC maintenance by detecting problems intelligently in real time. The users are reminded to fix specific issues as and when they occur. All round checks can be performed in single clicks. All the tools mentioned above are great alternatives to CCleaner. They have dedicated teams and provide great features to help you optimize the performance of your machines, and help free disk space. Thank you for providing such amazing CCleaner alternatives. Really found this post very helpful.